INDUSTRY.co.id - Medan - Asian Agri is optimistic to reach the target of partnership program with oil palm farmer called "one to one" of 100,000 hectares in 2018. He who was accompanied by Head of Social Security & License of Asian Agri, Ariston Noverry Fau and Public Relation Lidya Veronica Ginting said that after breaking Ramadhan fast with ranks of Persatuan Journalist Indonesia (PWI) of North Sumatra and other press ranks. According to Fadhil, from the program, cooperation with plasma farmers has reached 60,000 hectares and self-help farmers around 31,000 hectares. "The remaining 9,000 hectares can be implemented until the end of 2018 in three provinces namely North Sumatra, Jambi and Riau," he said. Fadhil asserted, the partnership program with the farmers was the focus of Asian Agri. Not only for the sake of the company in running a sustainable business, but also support the government program in increasing people's palm productivity. And the name of Indonesia as a producer of crude palm.oil / CPO or the world's largest crude palm oil. He explained that the 'one to one' partnership program is expected to make farmers' gardens well managed like core gardens with best agronomic practices. 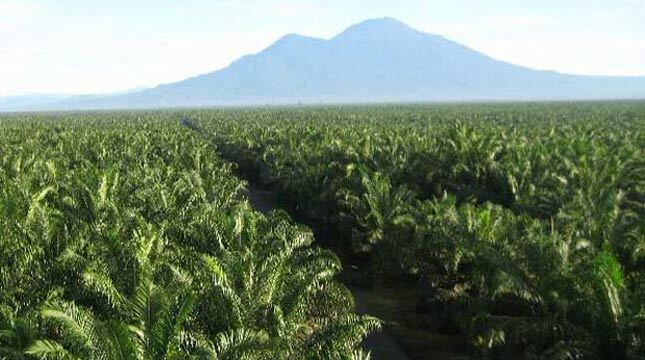 "With concrete steps such as the partnership, Indonesia's palm oil challenge can be answered," he said. Indonesia's palm oil production in 2017 amounts to 36 million tons of palm oil area of ​​12 million hectares. "With increased productivity, good quality and environmental friendliness in core gardens and farmers, Indonesia shows evidence that non-destructive commodity palm and sustainable yields," he said. Head of Operations of Asian Agri, Bukit Sanjaya said, Asian Agri's core garden productivity averaged 24.6 tons of fresh fruit bunches (FFB) per hectare and is expected to reach 25 tons. "If the partnership with the farmers goes well, then the productivity of the farmers' farmlands can be close to that number and it benefits the farmers," he said.